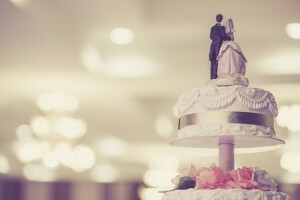 A second marriage can be a time of excitement and celebration, but there are also important planning steps you need to take to ensure that you’re moving into this new partnership successfully. What follows are some of the most common mistakes you can make with regard to a second or third marriage and your estate planning. If you have a blended family, it’s all the more important to get professional legal help so that you can appropriately draft a will. Small mistakes can turn into catastrophes, so avoid the attempts to do it on your own and enlist help instead. Life insurance policies can be very successful in navigating the tricky waters of providing for blended families. This is especially helpful when you intend to leave property to other family members but also want to provide for your new family. It might be tempting to automatically make your new spouse, a stepchild, or your own child a trustee, but it might not be what’s best for you. Choosing an outside trustee with no vested stake in the situation might help reduce arguments between family members after you pass away. For more advice about structuring your estate planning after a second or third marriage, contact us today. Reach out to us for help at info@lawesq.net.